Writing for Comics is the first “how to write comics” book that I read as I began my adventure into the world of comic book writing. I recommend it for both those who are just starting out or for seasoned writers who are looking for an enjoyable book to read (Although, honestly, a very experienced writer will certainly get less out of it than a newbie). 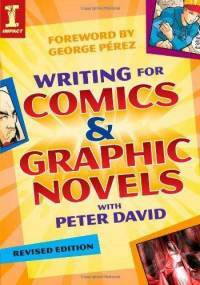 Why should you add Writing for Comics & Graphic Novels to your bookshelf?